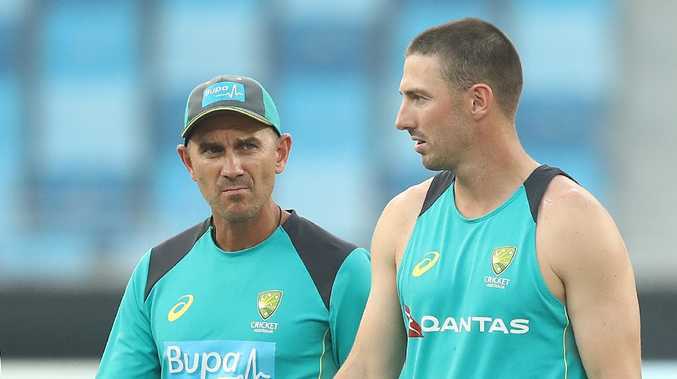 AUSTRALIA coach Justin Langer will give Shaun Marsh a chance to save himself from the Test axe in the ODI series against South Africa. Langer has declared the embattled batsman a certain starter for the one-day team to open the summer in a fortnight's time in Perth and says the shorter format can act as an audition for Marsh's bid to hold on for another Test match on home soil. The irony of the one-day selection is it will rob Marsh of invaluable red-ball match practice at a time when he desperately needs it after averaging 3.5 against Pakistan and going 12 innings without a half century. However, Langer says he will recognise runs wherever they are scored and is adamant Marsh's Test slump should have no bearing on the fact he's earned selection in the ODI top three after scoring two 50-over hundreds against England back in June, albeit in a heavily beaten side. 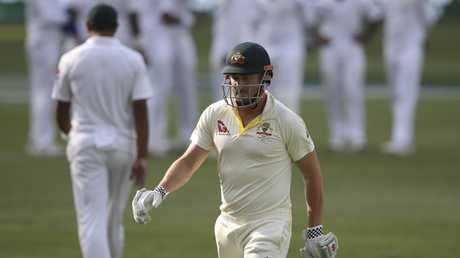 Marsh may also get two Sheffield Shield matches for WA in after the one-day series is finished and before the Test squad is chosen, and Langer concedes the struggling batsman is under pressure to hold on. 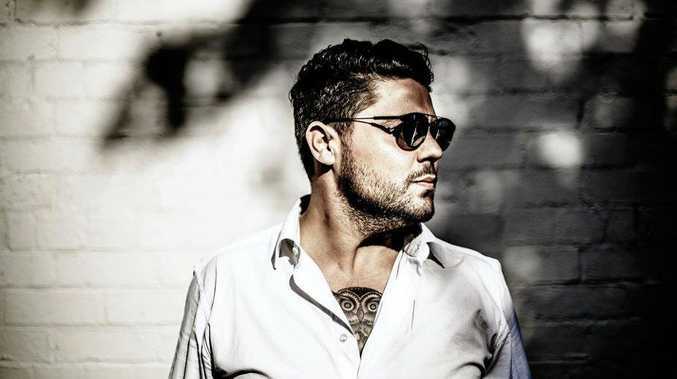 "SOS has obviously had a poor series and he knows that. You can see it in his face. He knows he's had a poor series," said Langer. "So then you get the balancing act as a selector. On merit he has to play the one-dayers. In his last five one-day internationals for Australia he's scored two hundreds. "You've got to be fair and you've got reward people for performance. "On the flipside of that by playing the one-dayers he may not play Shield cricket, but having said all that, runs are the currency of value. "Whether you're making them in T20 cricket, one-day cricket, Sheffield Shield cricket or Test cricket, the only currency of value are runs. That's just the truth of it. "The message has been since day one that you've got to be a good bloke and you've got to score runs … so time will tell." Langer says he will remain consistent with his selecting of the best Twenty20 and one-day teams, despite the temptation to prioritise the preparation of Test candidates for the bumper series against India. For example, Aaron Finch will pilot Australia's ODI charge against South Africa instead of going back to Sheffield Shield cricket, where he hasn't opened the batting for Victoria against the swinging red ball in several seasons. Travis Head, Mitchell Marsh and Glenn Maxwell are also huge chances of being in the ODI side and therefore unable to either solidify or push their case for Test selection in the more traditional way of playing Shield. "If you ask the players they want to play for Australia," said Langer. "You've got to pick your best one-day side and your best Test side and that's how selection should be."